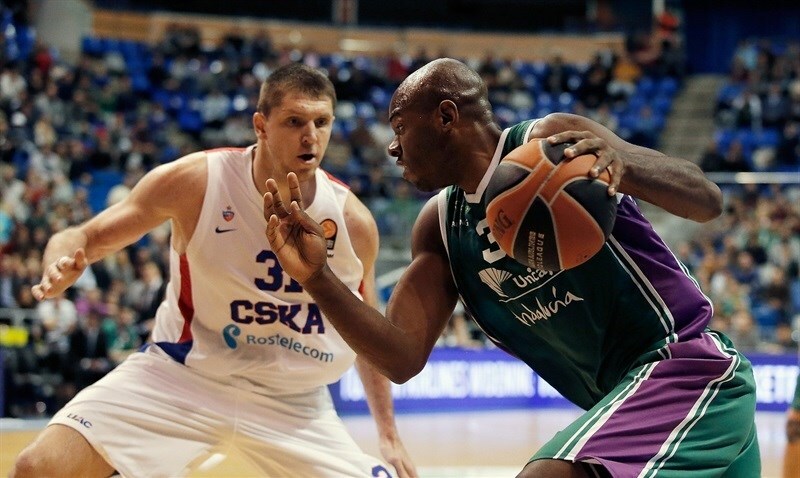 CSKA Moscow downed Unicaja Malaga 77-95 on the road on Thursday. CSKA had already clinched a playoffs spot before the game and improved to 9-2, while Unicaja dropped to 2-9 after its fourth official loss against CSKA this season and is all but mathematically out of chances to advance. Milos Teodosic paced the winners with 25 points on 5-of-7 three-point shooting and 8 assists. 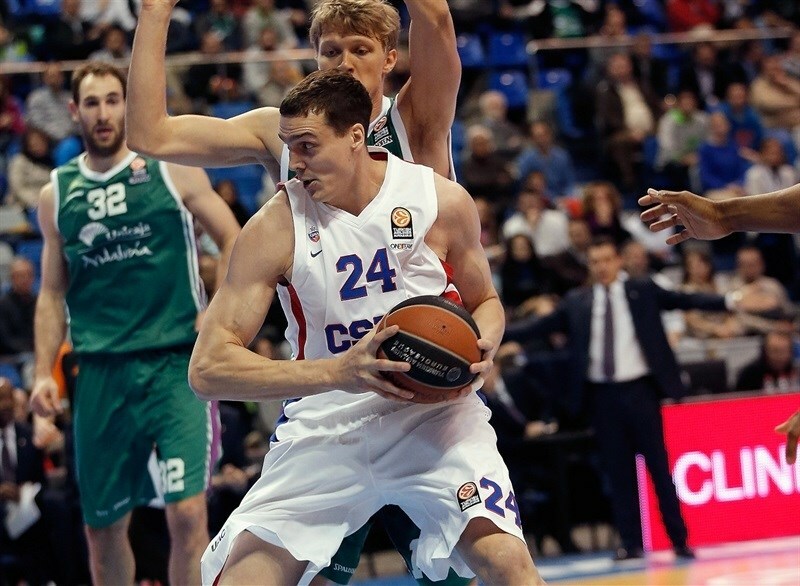 Nando De Colo added 19 points while Sasha Kaun scored 16 on 7-of-7 two-point shooting for CSKA. Fran Vazquez scored 14 points from Unicaja, which was without four backcourt players in this game - Jon Stefansson, Jayson Granger, Ryan Toolson and Kostas Vasileiadis. 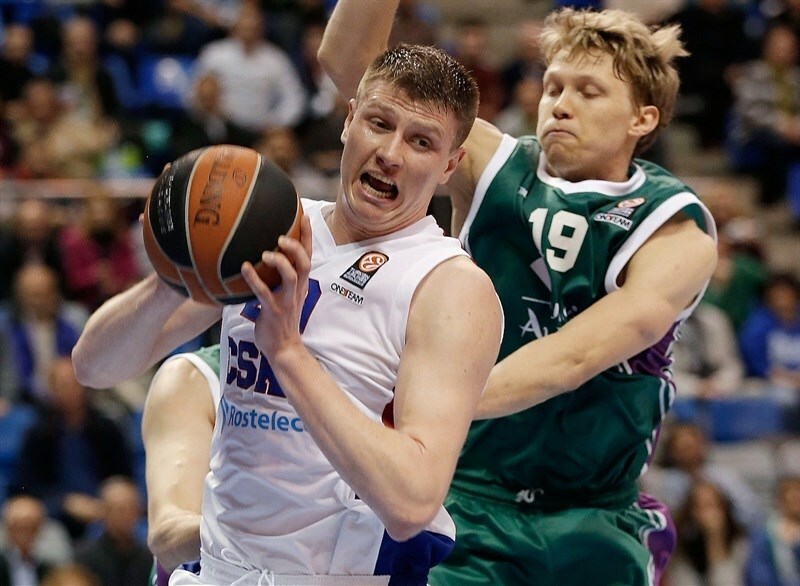 Mindaugas Kuzminskas added 13 points, Carlos Suarez had 12 while Stefan Markovic dished 10 assists for Unicaja. Youngsters Mo Soluade and Kenan Karahodzic shined to bring Unicaja within 25-26 at the end of a highly-entertaining first quarter. A layup by Karahodzic gave Unicaja its only lead of the game, 36-34. 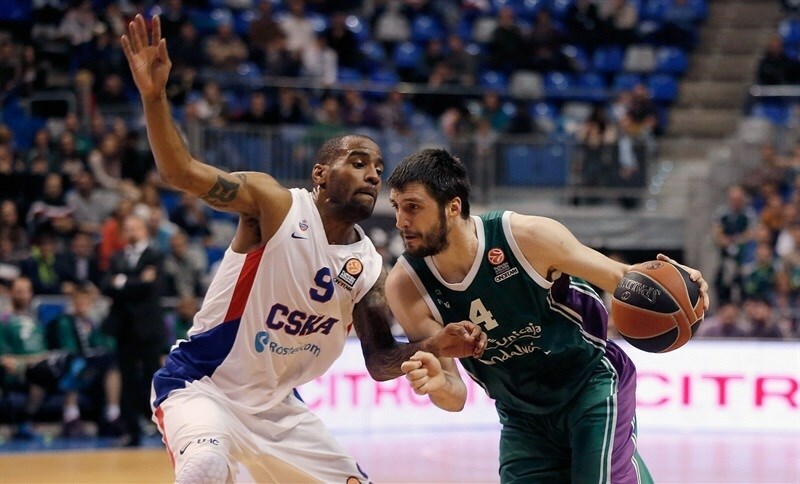 De Colo, Andrey Vorontsevich and Kaun stepped up to give CSKA a 42-47 edge at halftime. Teodosic took over after the break and got plenty of help from Kaun and Aaron Jackson to break the game open, 56-72, through three quarters. Nothing changed after that, as CSKA boosted its margin to 20 with four minutes left and never looked back. Both teams tried tall lineups - Unicaja started the game with Kuzminskas and Suarez at the wings while CSKA had Vorontsevich, Demetris Nichols and Kaun together on court. De Colo got CSKA going with a driving layup which Teodosic followed with a six-meter jumper for a 0-4 lead. 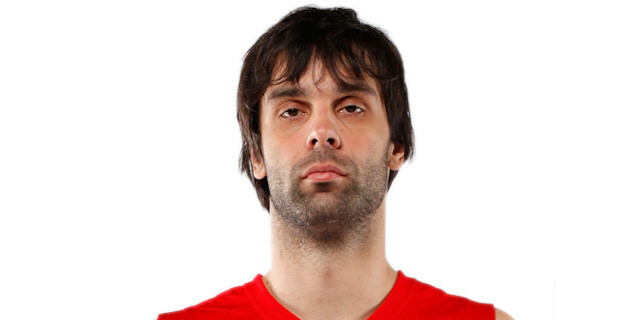 After Suarez made free throws, Teodosic answered with a backdoor layup and Kaun soon gave CSKA a 2-8 lead. Suarez kept pacing Unicaja with a put-back layup. De Colo scored again and a dunk by Kuzminskas kept the hosts within 6-10. De Colo struck from downtown, but Kuzminskas shined with a tip-in and a three-pointer by Soluade kept Unicaja within 11-13. Teodosic answered from downtown, but Vazquez nailed a five-meter jumper. Nichols gave CSKA a 13-20 cushion. Vazquez dunked and matched Teodosic's free throws with a mid-range jumper. Vazquez and Karahodzic stepped up for the hosts and a wild triple by Soluade kept Unicaja within 25-26 after 10 minutes. Sonny Weems took over with a high-flying driving layup early in the quarter, but Caleb Green copied him at the other end. 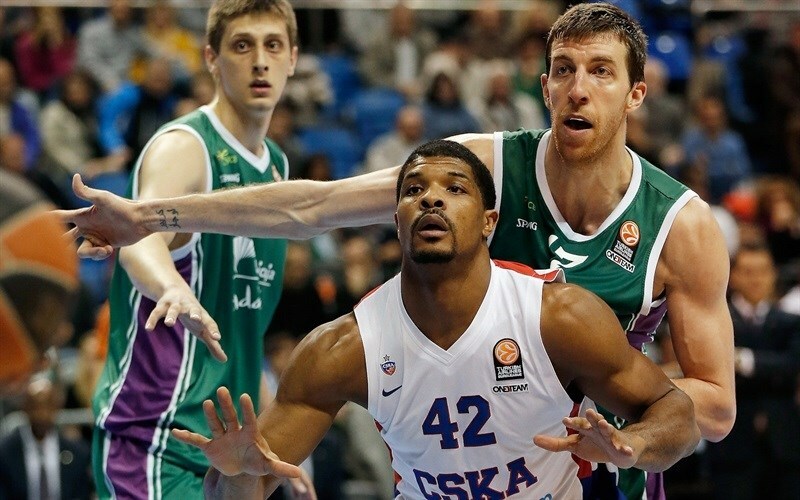 Aaron Jackson scored twice in penetration to restore a 27-32 CSKA lead. 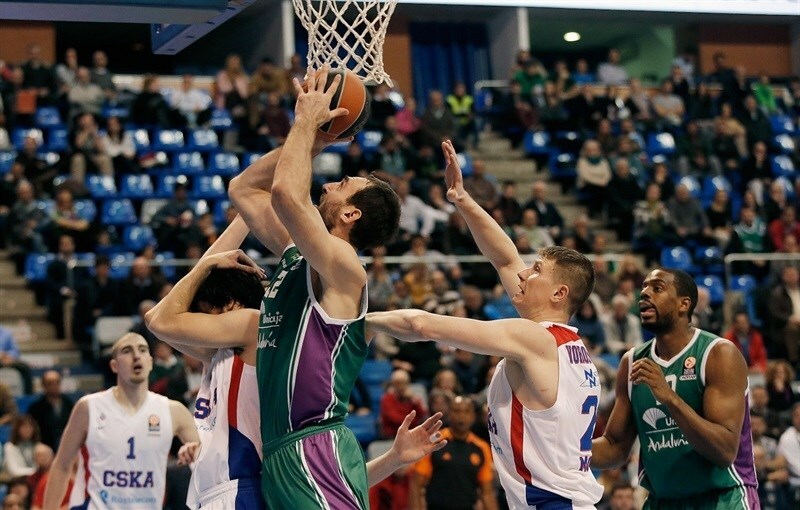 Vazquez rescued Unicaja with a put-back basket and another three-pointer by Karahodzic tied it at 32-32. Weems fed Kyle Hines for a backdoor layup, which Soluade matched with a driving layup. Karahodzic scored around the basket to give Unicaja its first lead, 36-34. Kaun stepped up with a jump hook and De Colo followed that with a layup-plus-foul that put CSKA back ahead, 36-39. Suarez and Vitaly Fridzon exchanged three-pointers and Vorontsevich also hit one from beyond the arc before Unicaja called timeout at 39-45. Kaun hit another jump hook, which Suarez improved with a three-pointer to bring Unicaja within 42-47 as both teams head back to the locker rooms. De Colo found Kaun for an alley-oop slam soon after the break, as Unicaja could not find the way to the basket. Vladimir Golubovic made free throws, but Kaun kept pacing CSKA with a jump hook, good for a 44-51 lead. Will Thomas tried to change things with a backdoor layup that Teodosic bettered with a three-pointer off the dribble. Kaun shocked the crowd with another alley-oop dunk, which De Colo followed with a layup in transition to force Unicaja to call timeout at 46-58. Kuzminskas scored around the basket and Vazquez hit a four-meter jumper, but a three-pointer by Teodosic and a big slam by Kaun broke the game open, 50-63. Vazquez scored again, but Teodosic hit another triple and added a driving layup that made it a 16-point game. Kuzminskas tried to change things with a power layup and erased Jackson's step-back jumper with free throws. Hines and Jackson gave CSKA a 56-72 advantage. Both teams struggled to score early in the quarter until Weems stepped up with a three-pointer. Unicaja was held scoreless for more than three minutes, but Caleb Green tried to ignite a comeback with an off-balance layup. CSKA used twin playmakers with Teodosic and Jackson together on court to keep full control of the game and use longer possessions. Vorontsevich scored down low and Teodosic struck from downtown. 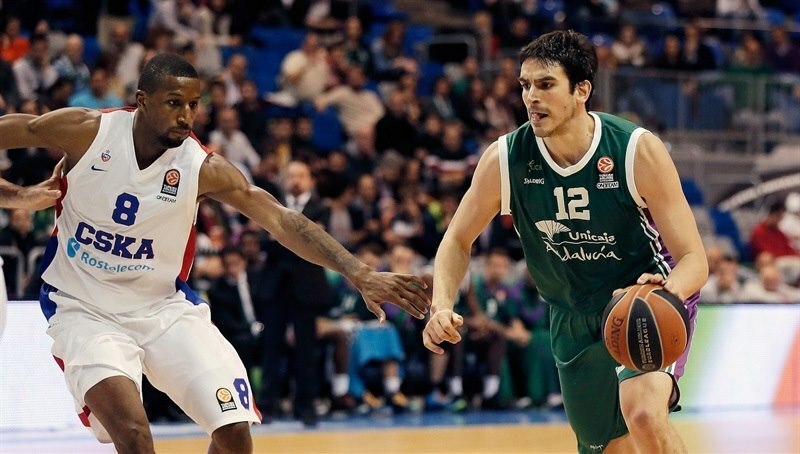 Green singlehandedly kept Unicaja afloat at 63-80. Weems followed a catch-and-shoot jumper with a monster alley-oop dunk and free throws by Teodosic made it a 20-point game with four minutes left. Nothing changed after that as CSKA returned home with a valuable road win. "There is little to say, just that we had a great attitude. There is little to regret tonight. If we wanted to win, we needed a full roster and to make as few turnovers as possible. We had a lot of runs against us. Our young players showed the fearlessness that we asked. Some other players had to play out of position. The best part of the game was our fans, who understood that we are a team that doesn't give up. I have a feeling that we get out of this game being a better team. Thanks to our fans, now we have to go for more. I told you yesterday that I hoped Stefansson could help us a bit, but he has a muscle injury and has to be cautious. Stefansson was willing to play, but we have to manage our weapons wisely. Toolson and Granger also wanted to play, which shows their commitment." "It was an important road victory for us but we have to be honest - Unicaja was missing very important creators and players, but despite that, this is the fifth game we played against Malaga. They are very competitive, they fight and that's why they are first in the Spanish League." "We are very happy for this victory. Unicaja is a great team and always when we play against them we have to do our best. The key to the game was the shooting percentage. We have been very successful, especially from the three-point line, and I think it was definitive for our victory. The third quarter was when we achieved the lead they could not reduce in the last ten minutes. We controlled the game very well and added a great victory. We have three important games in this group to get the best finish possible. It is a very difficult group and we have to fight to the end to achieve the objective."